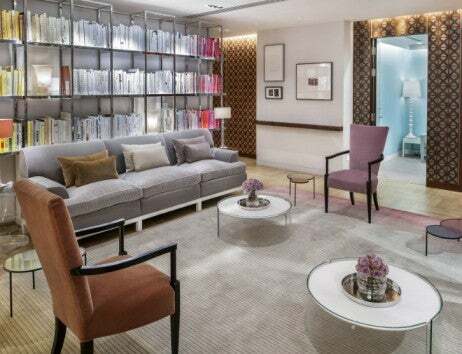 While luxury online shopping continues to grow, the beauty counters at a department store are still a glamorous staple of the bricks-and-mortar retail experience. You may recognize Knockout Beauty from its summer stint in the Hamptons, but the pop-up from beauty expert Cayli Cavaco Reck now has a permanent place on the cosmetics floor of Bloomingdale’s in New York City. 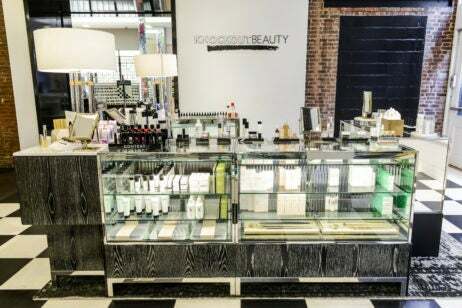 Currently open in Bloomingdale’s Soho, Knockout Beauty is introducing new high-end beauty products to the department store for the first time. More than 40 cult beauty lines are showcased at the shop, including LaCrème Beauté, Patyka, Vertere, Meder, January Labs, Context Skincare, Lumity, Moon Juice, Pursoma, Rituel de Fille and Vapour. Customers can expand their beauty regimen with niche products like Farmacy Lip Blooms or the Environ Derma Roller. Among Reck’s personal favorite products are the Meder masks, LaCrème Beauté Venom cream, Kat Rudu Vitamin C, Agent Nateur deodorant and Hannes Dóttir Seamasque. Knockout Beauty in Bloomingdale’s also offers services like peels from Beauty Rx and light therapy treatments using the LED LightStim on select days. Bloomingdale’s Soho is located at 504 Broadway, New York, NY 10012. For more information, please visit bloomingdales.com.